Grades 10 and 11 Lines Grades 9 to 12 – How Old Am I? 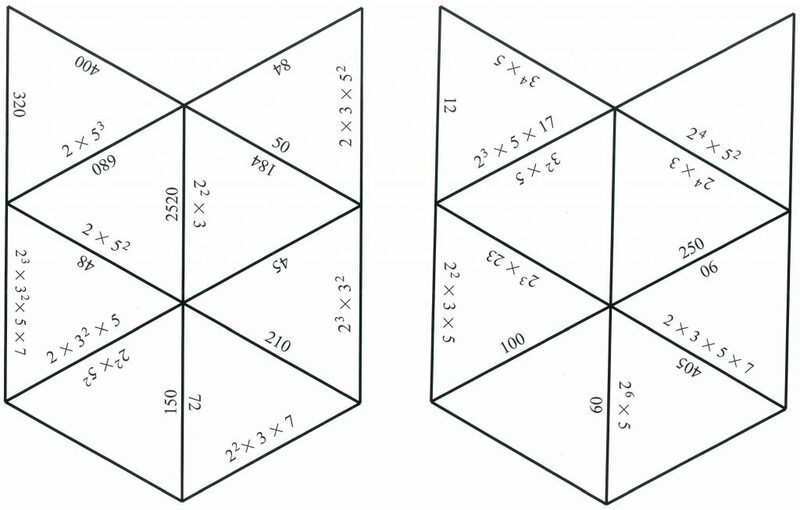 Download copies of these shapes here and cut out the 16 small triangles. Arrange the 16 pieces into a larger triangle so that the numbers on matching edges are the same, for example \( 2^2 \times 3 \times 7 = 84 \). Hi,it very interesting to realize that answer appear on both sides e.g. 2^2 x 25 = 4 x 25 = 100. The interesting part is that it is learning game.